Bringing Our Hearts Into Your Home | S.T.E.P.S. S.T.E.P.S. is not about giving handouts but providing the support needed to give those in need a hand up as they take the steps needed to become self-sufficient and serve the community. Every initiative we have includes a process of understanding the need, meeting immediate needs, but then developing strategies to ensure basic needs are continually met. 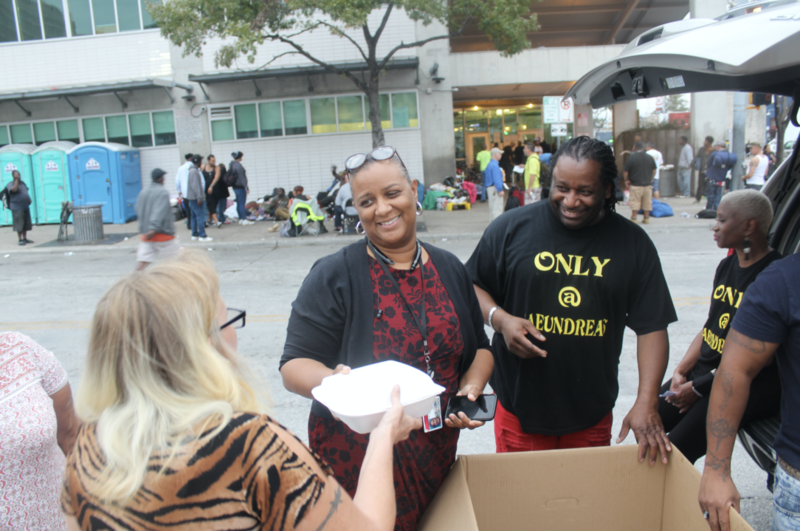 We feed the homeless not only food for their body but food for their soul as we pray with them and help them gain access to the resources they need to sustain a healthy life off the streets.